Sean Griffin of Princeton, New Jersey had his sights on a career in broadcast journalism when he entered Rutgers University four years ago. 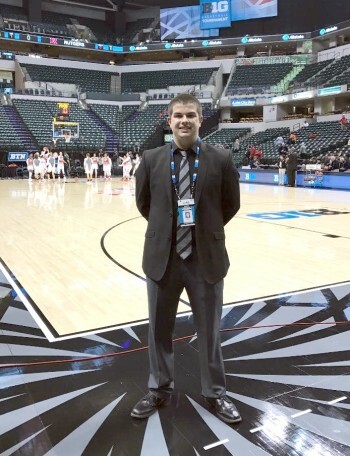 To help accomplish his career ambition, he double majored in journalism and sports management. Adding practical experience to his studies, he volunteered as a play-by-play sports announcer for the university’s radio station, as well as served as an intern for a nationally syndicated morning news show and at SiriusXM. Through steadfast motivation and hard work, Sean was on his way to attaining his goal. There was only one thing that stood in his way. His stuttering. Sean characterized his stuttering as a mild-to-moderate condition. To proactively address his stuttering and prepare for his future career, Sean enrolled in two different speech therapy programs while at college. He experienced some improvement in his fluency after each; yet, the results were not lasting. Then he learned about Hollins Communications Research Institute (HCRI) and the center’s unique approach to stuttering treatment. HCRI’s 12-day immersion therapy utilizes science and principles of learning to help individuals who stutter acquire skills to control stuttering and speak fluently. What was unexpected for Sean was the welcoming atmosphere at HCRI and all the relationships he made. In addition to connections with HCRI clinicians that continue today, he noted the benefit of getting to know other program participants. “Meeting other people who stutter gave me a sense of comfort and reinforcement because they were experiencing the same issues as me. I wasn’t alone,” he said. Ongoing clinician contact and post-therapy practice are important elements of the HCRI experience. They help clients habituate fluency skills learned during therapy. HCRI provides clients with a comprehensive package of practice tools and support once they complete their 12-day program. This kit includes fluency-practice software, therapy manuals, and a proprietary mobile app that help keep fluency skills on track. Since graduating from Rutgers and attending HCRI, Sean started a new chapter in his life. He landed a new job after an extensive interview process that involved face-to-face meetings and testing. He is now working for ABC News as a producer, fulfilling his career goal to work in broadcast journalism. Creating effective stuttering therapy involves understanding specific events in nature that give rise to stuttering – and then developing a solution through science to address the problem. 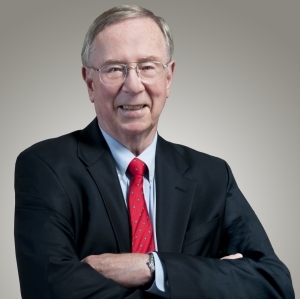 HCRI President Ronald L. Webster, Ph.D. The one-of-a-kind stuttering therapy at Hollins Communications Research Institute (HCRI – www.stuttering.org) is grounded in science and successful with thousands of stuttering cases at all levels of severity. The therapy was invented by HCRI President Ronald L. Webster, Ph.D. and his research team who demonstrated that characteristics of stuttering are produced by misbehaving contractions within the muscles of the tongue, lips, jaw, and vocal folds. The result is that the speech organs during stuttering incorrectly move into positions that are not correct for the intended sounds. This discovery dispelled long-standing assumptions that stuttered speech is derived from emotional or mental issues. Dr. Webster’s findings changed the way stuttering is viewed and needs to be treated. His research led to defining specific behavioral patterns that occur naturally in fluent speakers. Correct use of these patterns replaces the distorted contractions and movements that produce stuttered speech. These muscle-movement patterns are called “targets.” Targets include clearly specified speech behaviors and feature permissible ranges of variation. Science shows that targets can be readily learned and retained with the right type of therapy. HCRI’s experience treating more than 6,500 individuals who stutter demonstrates that proper training and use of targets yields fluency in 93 percent of cases. Targets learned in HCRI’s 12-day stuttering therapy program are based on what nature has taught us. They are real and they work if done correctly and consistently when speaking, according to Dr. Webster. Dr. Webster shares that we all are creatures of nature and our bodies obey natural laws. “Individuals stutter because a physical mechanism within their body forces speech muscles to contract in usual ways. The vocal tract is forced into positions that are not right for sounds that need to be produced,“ he said. At the same time, Dr. Webster emphasizes that, because of the laws of nature, speech-muscle activities can be reconstructed and retained. Vocal tract shapes and shape changes can be normalized. When therapy participants apply precise standards of performance to targets when they speak, reliable production of fluent speech can be achieved. Then, a world of new possibilities becomes a reality through fluency. To learn more about HCRI’s approach to overcoming stuttered speechs using the laws nature and principles of science, click here: HCRI Stuttering Therapy. When stuttering therapy participants at Hollins Communications Research Institute (HCRI – www.stuttering.org) complete their 12-day program, they return home with a comprehensive package of HCRI support tools and clinical support to help them maintain fluency for the long term. Tools for use after therapy include HCRI’s FluencyNet practice software, an iPhone app, program materials, and access to fluency practice groups. The HCRI clinical team actively stays in touch with program participants after therapy through phone contact and emails. Even years after completing therapy, HCRI clinicians welcome calls and emails from alumni needing support and guidance. For many HCRI clients, stuttering therapy is a one-time experience; fluent speech has replaced stuttering and additional treatment is not necessary. Yet if individuals desire additional help to fine-tune their fluency, the institute provides a number of clinical programs. To participate in these programs, alumni need to contact a member of the clinical team for an assessment and discuss which program is the best match for their needs. Following are the clinical programs and services that HCRI offers after therapy. In this five-day program, targets are introduced at a one-second syllable duration. During the course of the week, participants move to practice at one-half-second syllable duration and then to slow-normal syllable duration. The program provides a review of stretched syllable, full breath, and amplitude contour targets. Other review includes target pairs, exaggeration, and covert practice. Additional activities include telephone transfer, daily situation transfer, and speeches. At the conclusion of the program, participants receive a packet of materials for follow-up and practice. Clinicians review this information with participants and discuss practice strategies that can be utilized at home. During this two and a half day course, practice sessions are at slow-normal syllable duration. Clinicians review stretched syllable, full breath, and amplitude contour targets. Clients practice using FluencyNet software and audio tracks. Target pairs, exaggeration, covert practice, and self correction are also covered. Additional activities include telephone transfer and daily situation transfer, including mall visits and speeches. This service enables alumni to review and refresh targets at home via FaceTime with a clinician. The therapy package includes eight one-hour sessions, which are scheduled two times per week. All practice and transfer is at slow-normal syllable duration. Therapy includes a review of stretched syllable, full breath, and amplitude contour targets. The remote program also covers target pairs, exaggeration, covert practice, and self correction. Computer practice is utilized with equipment mailed to alumni for the eight sessions. Transfer practice is tailored to each participant’s specific needs. This flexible therapy option enables HCRI alumni to have one-on-one FaceTime transfer sessions with a clinician. Each session is tailored to the participant’s practice requirements, such as interview practice, presentations, introductions, question and answer sessions, and exaggeration practice. All sessions are at slow-normal syllable duration. The number of sessions is based on client needs. For more information about HCRI post therapy support, contact the institute at info@stuttering.org or 855-236-7032. 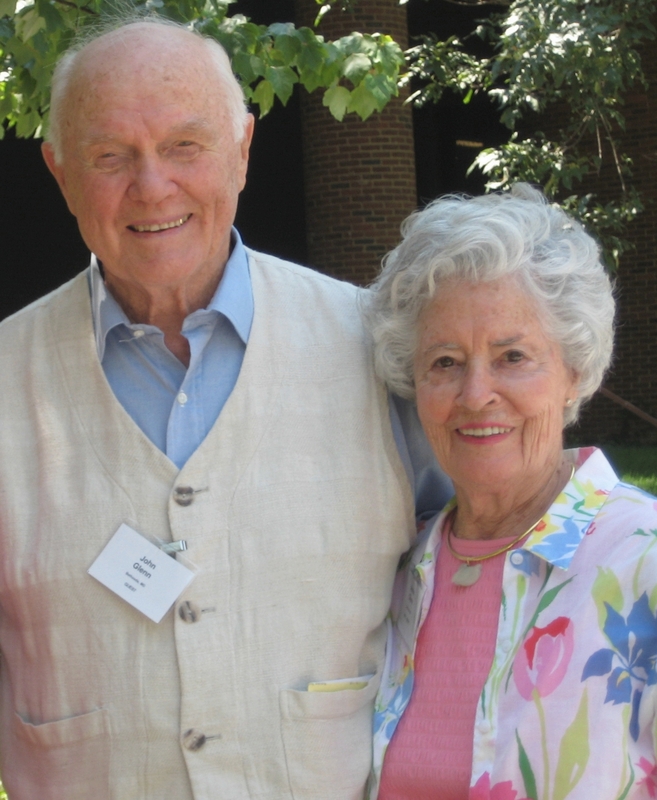 John and Annie Glenn are beloved national heroes, each in their own right. With John’s recent passing, public interest in the couple’s remarkable lives has continued to grow. John is recognized as a space pioneer and made history as the first man to orbit Earth. He made history again as the oldest astronaut to complete a space mission when he was 77 years old. In addition to his NASA contributions, John’s impressive military service and leadership as a four-term U.S. senator from Ohio will be long remembered. For Annie, life was often overshadowed by the daily challenges brought on by her stuttered speech. As a severe stutterer, she was afraid to speak in social settings and meetings, use the phone, hail a taxi, order food in a restaurant, or summon help when needed. While she was able to adapt to get things done, her stutter held her back. John served as a tremendous support system for Annie, helping her navigate through life with her speech disability. Her severe stutter was not known to many, even considering John’s very public profile. The couple often appeared together and John helped to shelter his wife from speaking opportunities whenever possible. Then, when she was 53 years old, Annie and John saw television news coverage on NBC Today about the behavioral stuttering therapy developed by Ronald L. Webster, Ph.D., president of Hollins Communications Research Institute (HCRI). After she and John extensively researched the therapy approach, Annie enrolled in the science-based treatment program at HCRI in Roanoke, Virginia. By the end of her intensive therapy, Annie was able to speak fluently for the first time in her life. She called John and it stunned him to hear her fluent voice over the phone. HCRI therapy was the beginning of a new chapter in Annie’s life. With her new-found ability to talk at will, Annie seized opportunities to speak out on issues and help others. She became a national advocate for people with speech disabilities and provided hope and inspiration to many. While John and Annie are known for their many accomplishments, the Glenns are admired for their loving, supportive marriage that is viewed as a role model for couples everywhere. At HCRI, we continue to mourn John’s passing. He was a dear friend of the Institute and always accompanied Annie when she visited HCRI. John and Annie have helped raise stuttering awareness and the importance of receiving effective treatment. We are deeply grateful for all the couple has accomplished. Following are links to some articles that have appeared over the years about Annie’s struggles with stuttering and the couple’s remarkable lives. The science-based stuttering therapy program at Hollins Communications Research Institute (HCRI) focuses explicitly on correcting muscle distortions and teaching new speaking skills that participants utilize to maintain fluency for a lifetime. As a behavioral therapy designed to help people achieve fluency, HCRI’s 12-day program does not include a psychological component. Yet, those who participate gain self-confidence that comes from using their new skills and speaking fluently at will. For many clients, this newfound confidence is something they never experienced before attending HCRI stuttering therapy. One such person is 26-year-old Byron Jones. Before Byron attended HCRI’s program, he had difficulty talking in front of strangers and friends alike. He tried a variety of therapies that proved to be unsuccessful. He practiced with numerous fluency teachers over the years and even tried an auditory-feedback device. Any positive results only lasted for a short amount of time. Byron had difficulty keeping the motivation to continue the work he was taught by his therapy providers because he saw no improvement. When Byron came across HCRI’s website at www.stuttering.org, he was hesitant to believe the Institute’s therapy would work for him. Before he completely gave up hope to ever speak fluently, he decided to consider HCRI. With the help of his mom, he carefully researched the Institute’s work and treatment approach. He reviewed the information on HCRI’s website and watched pre- and post-therapy videos of past participants. These videos illustrate a typical client’s speech on Day 1 versus Day 12 of the program. The tremendous difference before and after therapy is what drove Byron to submit his application to HCRI’s stuttering therapy program. He attended HCRI’s therapy program at the end of 2015 with seven other individuals. He spent twelve uninterrupted and challenging days learning techniques to help him control his distorted muscle movements. He received one-on-one instruction and guidance from HCRI’s specially trained clinicians and used the Institute’s proprietary technology during the therapy process. First, Byron was taught how to control the muscle tension in his articulators, which include the tongue, lips, and jaw. He was then instructed how to focus on his breathing so that he would have a good supply of air for his speech. Having distorted breathing patterns makes it even harder for people with a history of stuttering to get their speech out. Lastly, he was taught how to monitor and feel his vocal folds and keep them from slamming shut. People who are considered fluent speakers are able to control their muscles naturally, but those who deal with stuttering have to deliberately make their muscle groups cooperate. Byron was taught all of the necessary tasks to problem solve when he was having difficulty, along with how to continue working on his fluency skills for the rest of his life. Byron began his HCRI program by speaking with a disfluency level of over eight percent. After receiving treatment, his speech had improved to be less than one percent disfluency. Those who are considered to be fluent speakers have up to three percent disfluency. After finishing his HCRI stuttering therapy program, Byron gained significant confidence from having the ability to speak fluently. With his new speaking abilities, he was ready to take a huge life step with his girlfriend, Betsy. “We had been dating for fifteen months and have been friends for five years. We both know what we want in life and the timing was right. When you find someone you love and care for, it’s time to take the next step,” he said. Christmas of 2016 was quickly approaching and Byron decided the time had come to ask Betsy to marry him. 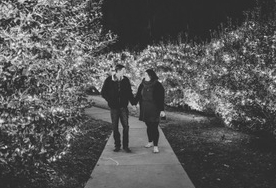 He called and spoke with his HCRI clinician before he was planning to propose to get some practice and tips on how to ask the anticipated question. After tirelessly practicing what he wanted to say, on December 20, 2016 Byron asked Betsy to marry him. He hired a photographer to capture the special moment when he got down on his knee and confidently asked Betsy to be his wife. Betsy said yes. Clients come from all walks of life and include broadcaster John Stossel; Annie Glenn, wife of Senator and Astronaut John Glenn; as well as athletes, teachers, engineers, musicians, students, doctors, military personnel, business professionals, police officers, actors, a supreme court nominee, and even royalty. 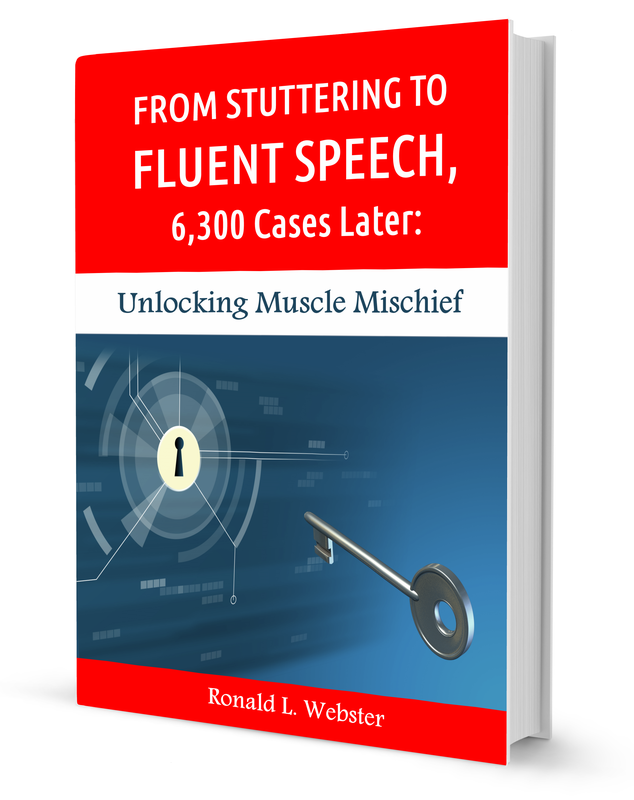 The following is the second in a series of chapter excerpts from the insightful and innovative book on stuttering, From Stuttering to Fluent Speech, 6,300 Cases Later: Unlocking Muscle Mischief, written by Ronald. L. Webster, Ph.D. An expert on stuttering, Dr. Webster is a clinical psychologist and president of Hollins Communications Research Institute (HCRI – www.stuttering.org.). There are fascinating unanswered questions about the origin of stuttering. How long ago did stuttering appear in human speech? What factors enabled stuttering to become a universal problem that appears in all language groups? Are there present-day implications about the cause of stuttering that flow from its possible origins? New tools have been developed that may enable us to suggest possible answers to some of these questions. We live in exciting times. 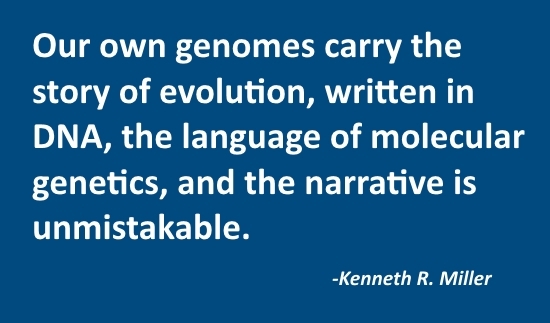 Recent advances in genetic analysis have provided opportunities to look into the molecular structure of life itself. Advanced forms of genetic analysis have generated new insights into human evolution that can guide our thinking about the origins of stuttering. These new forms of genetic analysis deal with mutations in DNA molecules that lie outside the human genome and thus are not available for recombination during the normal course of reproduction. Rates of mutations can be calculated for different types of DNA, and identification can be made of patterns of mutations that are passed from generation to generation. Analysis of DNA sequences can reveal the distinctive genetic variations for different groupings of the human species. In fact, these new methods provide a virtual time machine that allows us to travel back through the centuries and identify when specific elements of genetic material first appeared in the DNA of our species. 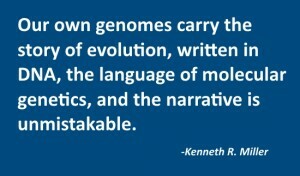 Recent analyses of the evolution of the FOXP2 gene, identified as the first gene clearly associated with the human capability to develop language, have indicated that the human variant of this gene was established in the past two hundred thousand years. Thus, the time of appearance for the FoxP2 gene is consistent with the notion that the rapid expansion of humans to locations beyond East Africa was driven by the presence of increased speech and language abilities (Enard, Przeworski, Fisher, Lal, Weibe, Kitano, et al. 2002). As we shall see, genetic analyses have indicated that there were two population “bottlenecks” in human evolution that occurred about 135,000 years ago. At the time of the first bottleneck, offspring of a single female became the survivors from whom all of us are descended. Sometime later, when the second bottleneck occurred, offspring of a single male became the survivors from whom we have all evolved. 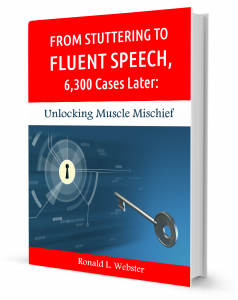 For more information about Dr. Webster’s book, From Stuttering to Fluent Speech, 6,300 Cases Later: Unlocking Muscle Mischief, visit Amazon.com. 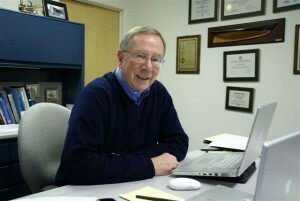 To learn more about HCRI stuttering therapy, click here: www.stuttering.org. Bethany Marcusson-Mercedes works at a thriving start-up company that specializes in educational technology. As an experienced educator and school administrator, she is uniquely qualified in her role as a trainer and teacher liaison to help the company transform classrooms around the globe using new mobile technology. 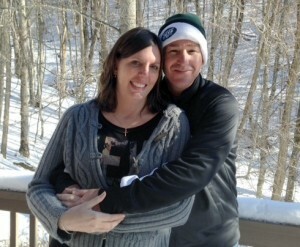 HCRI alumna Bethany Marcusson-Mercedes is shown here with her husband Chris. Bethany’s responsibilities involve regular travel and speaking in front of large groups of educators on an ongoing basis. With the confidence and expertise she exudes in her presentations, no one is aware that Bethany has lived with a stuttering condition that impacted her ability to speak fluently since the age of three. Beginning in elementary school, Bethany’s parents were proactive and enrolled her in speech therapy to address her stuttering. While she worked hard in therapy year after year, she continued to struggle with her speech on a daily basis. She confronted ongoing communication challenges and was mocked by classmates because of her stuttering. Yet, with ever-growing fortitude and the encouragement of her parents, she pushed forward with her young life and participated in school and extracurricular activities. Then, when she was 16 years old, Bethany and her parents were introduced to an engaging woman at their church who also had a stuttering condition – yet spoke fluently. Bethany learned that her new friend participated in the stuttering therapy program at Hollins Communications Research Institute (HCRI – www.stuttering.org) in Roanoke, Virginia where she acquired skills to speak fluently and spontaneously. Developed by stuttering expert and HCRI Founder Ronald L. Webster, Ph.D., HCRI stuttering therapy is a science-based, 12-day behavioral treatment that has been tested with thousands of stuttering cases. HCRI’s specially trained clinicians utilize detailed behavioral therapy protocols and advanced technology to systematically teach people how to replace abnormal muscle contractions that cause stuttering with specific, new muscle movements that generate fluent speech. That meeting at church was a turning point in Bethany’s life. Her parents enrolled her in HCRI stuttering therapy. Bethany was excited about her treatment program and seized the opportunity to acquire skills that would enable her to take charge of her stuttering once and for all. “I found HCRI stuttering therapy hard work. Each day was intensive and led to the next step in the treatment process. The other therapy participants and clinicians were an excellent support system throughout the program and afterwards,” Bethany said. By the end of her treatment, the teen could speak fluently for the first time in her life. The therapy was transforming. Yet, Bethany knew that she had to commit to practicing her new speech skills every day once she returned home. “Daily practice helped me habituate my fluency capabilities. While some days were harder than others, I continued to persevere to control my stuttering,” Bethany explained. Even now, many years later, when she is preparing to speak in front of groups, Bethany mentally reviews the fundamental fluency principles she learned at HCRI. “Without a doubt, I would not have the career that I have today without HCRI. The therapy and ongoing support from HCRI have made such a difference in my life,” she concluded. Never let stuttering define you. Don’t give up if you have a hard time. Don’t let fears stand in the way of what you can achieve. Get the help you need to make a difference in your life. Stay connected to people, utilize available tools and have a support system you can always count on. Hollins Communications Research Institute was founded by Ronald L Webster, Ph.D. in 1972 to investigate stuttering through scientific discovery and treatment innovation. Virginia-based HCRI, a 501 (c) (3) charitable organization, has become an international leader in stuttering research and the development of innovative, scientifically derived therapy approaches. HCRI clinicians have treated more than 6,500 individuals from across the U.S. and 50 countries. Research shows that 93% of therapy participants achieve fluency by the end of their 12-day program. Follow-up studies one and two years post therapy reveal 70-75% of clients maintain their fluent speech. HCRI is located at 7851 Enon Drive, Roanoke, Va. 24019. For more information, contact HCRI at info@stuttering.org or 855-236-7032. 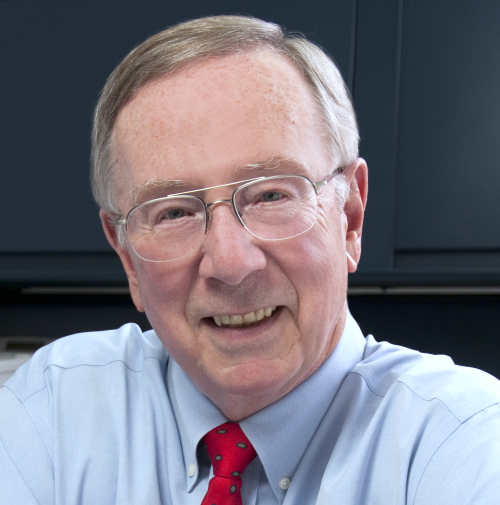 Ronald L. Webster, Ph.D., Founder and President of Hollins Communications Research Institute (HCRI) observed stuttering for the first time when he was a graduate student at Louisiana State University. One of his professors stuttered. Webster was moved by this impressive man’s courage to face students and lecture each day, despite having a speech disorder. After graduate school, Webster began a multi-dimensional career as a research scientist, psychology professor and clinical psychologist. At the same time, he pursued his keen interest in the study of speech. Webster conducted research on speech development and collaborated with speech experts from across the country. This work led him to a passionate concern about stuttering and the realization that no effective treatment existed to help people with the disorder. Webster set out to change that. The year was 1966. He began a life-long mission to investigate stuttering using empirical science and learn everything he could about the difficult-to-treat and misunderstood condition. His intensive research revealed remarkable findings, which countered broadly accepted assumptions that stuttering was grounded in emotional or mental issues. Instead, Webster’s work demonstrated that stuttering is physically derived, with specific, distorted speech-muscle activities and patterns that give rise to stuttering. WSLS-TV reporter interviews Dr. Ron Webster about his pioneering work in stuttering and the science-based stuttering therapy program at his nonprofit Hollins Communications Research Institute. Once he quantitatively defined speech-muscle “events” that cause stuttering, Webster’s research efforts turned to identifying ways to alter these events to enable fluent speech. Webster’s work was groundbreaking. The outcomes led to his developing the first systematic, behavioral stuttering therapy program. 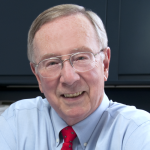 He founded nonprofit Hollins Communications Research Institute (HCRI) in 1972 to continue his research and administer effective, science-based stuttering therapy. HCRI’s 12-day stuttering treatment program teaches individuals how to replace faulty speech muscle movements that cause stuttering with new muscle events that generate fluent speech. Research shows 93% of program participants achieve fluency by the end of treatment. Follow-up studies reveal 70% to 75% retain fluent speech when evaluated one and two years post therapy. ​These outcomes stand in contrast to traditional speech therapies and devices that may only produce fluency results in approximately 25% of cases. These ongoing advancements raise the bar on stuttering treatment excellence. U.S. patents have been awarded to Webster for some of these stuttering therapy innovations. Since HCRI opened its doors, more than 6,500 people from across the U.S. and 50 countries have come to the Virginia-based treatment center.​ Clients include broadcaster John Stossel of Fox News; Annie Glenn, wife of Senator and Astronaut John Glenn; as well as athletes, teachers, engineers, students, doctors, military personnel, business professionals, police officers, actors, a Supreme Court nominee and even royalty. Dr. Webster and the HCRI team continue to push forward with their commitment to transforming lives through fluency. This includes testing the feasibility of online therapy delivery to increase accessibility, as well as partnering with the National Institutes of Health on a pioneering study that confirmed a genetic link to stuttering. For more information about HCRI stuttering therapy, please visit www.stuttering.org. Contact HCRI at 855-236-7032 or info@stuttering.org.